My work Proudly South African, made last March with an analogic camera, is now part of the exhibition Mwana: Childhood and Race Relations in Brazil and Africa, in the Federal University of Rio de Janeiro. Promoted by the university, the exhibition also features photos of Stela Caputo, a photographer who developed a work about kids and african religions in Brazil for 25 years. 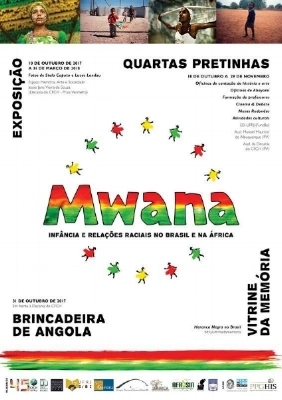 You can attend Mwana untill March 2018, from monday to friday, from 9am to 9pm, in the university campus at Urca, Av. Pasteur 250.